When people have special ‘milestone’ birthdays they tend to really push the boat out in terms of celebrations. Many people organize trips away with family and friends to celebrate the occasion and this is a great way of making it more memorable and exciting. Life is a journey, as one of the old birthday quotes goes, and this is exactly what people like to do in order to celebrate a special point in their lives – go on a journey and enjoy some new experiences. When we are in our younger years and celebrating birthdays such as an 18th, 21st, or 30th, we tend to go to places that are exciting, wild, and filled with parties and clubbing such as Ibiza. However, as we get older, these places not only lose their charm but they also become more inappropriate even for those that are young at heart. After all, when you are celebrating your 60th the last thing you want is to be surrounded by people in their 20s in the middle of a club. As people get older, they prefer travel destinations that are more relaxed and laid back but still provide them with a unique and memorable experience. When it comes to booking that all-important special birthday treat holiday, there are various options that you may enjoy. As we get older, we all want something more relaxed and chilled out so that we can really make the most of our time away. Gone are the days of all night parties and drinking – instead, spending time relaxing with loved ones is often the order of the day. One great way to do this is on a cruise, which is an incredible way to explore places you have never even visited before. 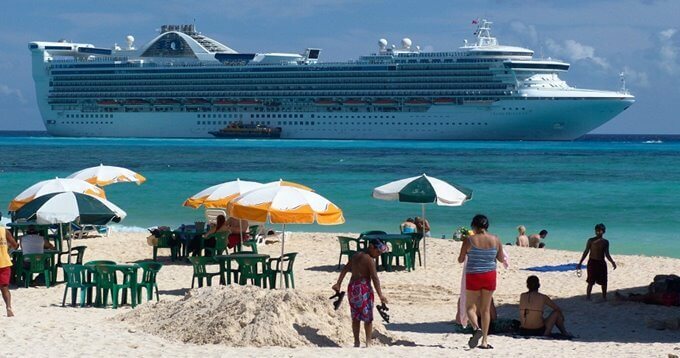 You will find all sorts of cruises such as Med cruises and Caribbean ones. This makes it easy to find one that suits your preferences in terms of where you go and how long you go for. This is a great way to enjoy new experiences and really see the world. Another type of holiday you may want to consider for your special birthday is an all-inclusive 5-star resort holiday. You have to be careful with all-inclusive, as many younger people that want to do little short of drink all day book these holidays because it means that they have food and alcohol on tap. However, many will go for the cheaper deals at 2-3 star hotels. If you stick to luxury hotels that offer an all-inclusive option, you can look forward to a relaxed atmosphere and sumptuous food whenever you want it. You will also often get lots of entertainment included as part of your all-inclusive deal, which makes it well worthwhile if you want to simply relax and forget about organizing meals or activities. Finally, a cultural city break could be the perfect solution to your travel dreams and this is an ideal option for those that like to stay active and want to explore history and culture. If you have not had much time to travel in the past, there are probably many fabulous cities that you will be thrilled to visit. You can take the opportunity to head to some incredible cities around the world in order to learn more about the culture, way of life, and the history of these areas. You could even cover several cities by booking a multi-leg trip for a longer period, which gives you even more of a chance to explore and enjoy some of the most fascinating cities around the globe. Of course, there are many other options such as renting a luxury villa in a far-flung destination and then getting your nearest and dearest to come along and stay there so you can all enjoy a fabulous celebratory holiday together.